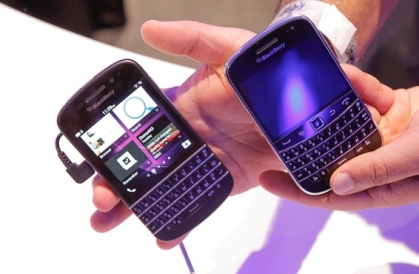 The new BlackBerry Q10 smartphone has become the fastest selling consumer electronics product for Selfridges. Selfridges is a high-end British departmental store chain and the smartphone had gone on sale exclusively at the Oxford St. London Store over the weekend. Initially, the device was priced at £696 and was sold out in just two hours. UK BlackBerry said that it had made hourly delivery runs to the Carphone Warehouse concession, which was selling the device inside the shop to keep up with the demand of the customer. The company has not revealed any official customer sales data, but at least one report has suggested that 2,000 units were sold in the first 90 minutes in the capital. Similar figures were reported at the Birmingham and Manchester Stores. A majority of buyers were from sharp operators who were looking up to sell to corporate IT people and BlackBerry enthusiasts. An eye witness had claimed that some people, who were possibly exporters, were buying 30 or more units at once and thus laying down £18,000 or more for the phone. Julian Slim, the head of the store said that the device has been without a doubt the most highly anticipated phone that they have ever sold.